Recently, I surveyed readers as I do sometimes and asked if you are happy with how your home looks right now. 87% responded and said no! For as much time as we spend at home, this makes me sad to think that so many of you aren't loving your home, so I want to help. That's my job after all! Until recently, I wasn't happy with my home either. I didn't know if it was possible to truly love our home because it isn't open concept and the living room is small. You know, SUPER important things. ;) I started decorating right away when we moved in, but as it slowly came together, I wasn't liking the result. Now, you may be thinking, "If only I had a bigger budget" or "If I had more space" then I'd be happy with my home. Right? But then I started thinking about what it was I didn't like in our home. It was the too small coffee table. The bulky sectional. And the unused credenza taking up space in our living room. See our sad living room below when we first moved in. The fact that I wasn't happy with our home had nothing to do with a bigger budget or more space. I didn't like the furniture and decor I bought. I realized I needed help knowing what to buy because that was my problem, not the budget or space. Best of all, you can actually CHANGE these things you don't like and learn to decorate a home you love. Now, there is no Magic 8 Ball that will tell you exactly what to buy for your home and guarantee you'll love it. Although that would be nice! But there is something that will guide you and give you a guideline of what to buy, and that's your signature decorating style. Want to learn more about my new Find Your Signature Style course? Get the deets here. And you can get it at a pre-launch discount right now! All of these elements combine to make my signature style, Modern Rustic Cottage. More on how to identify these style elements for yourself later in this post. Now when I decorate, I know exactly the materials and designs to choose from – taken straight from my signature style – to achieve the vision of my dream home. 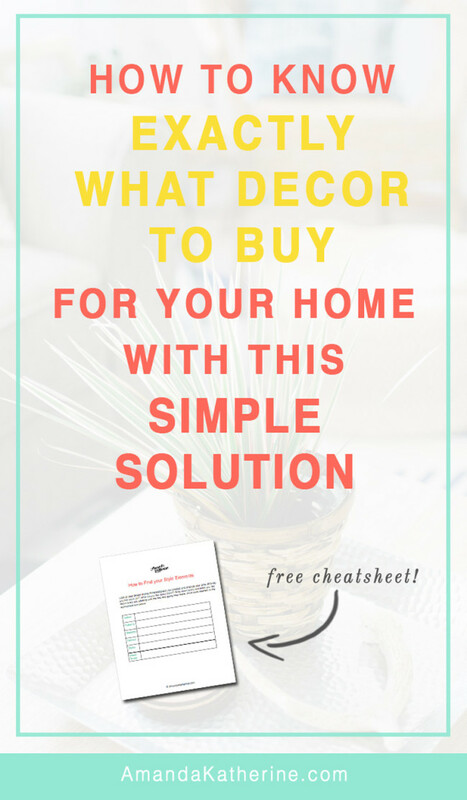 It makes decorating and knowing what to buy SO MUCH easier. Your signature style gives you guidelines and direction of what to look for when buying so you never have to wonder (or guess) again. It gives you the tools to decorate your home successfully so you CAN love your home and be happy with how it looks. How cool is that?! With this realization, I created a system so I could help others find their signature decorating style, too. It's called Find Your Signature Style and it's a 4-step system that helps you discover your style, detox your home, and teaches you what to shop for, the simple way. I'm pre-launching my course now for a discounted price before it officially launches next month, so now's the time to get your hands on it because the price is going up soon! I created this course using the exact system that I used to find my style and redecorate my home I'm now proud of. I was desperate for something that would make decorating easier so I could quit the vicious cycle of spending money on decor and then not liking it a few months later. So I did some soul-searching, experimented a lot, and came up with the very system I'm teaching in my course that worked wonders for me! This is the first time I'm truly happy with my home, so I knew I had to share the system with you guys! Once I found my signature style, that's when I made better decor and furniture decisions because I actually knew what to look for. It made shopping so much easier and I wasn't buying things and then changing my mind a few months later. I started redecorating our living room (the room I was most unhappy with that we use all the time). I sold furniture on Craigslist. We built some IKEA hack built-ins. But most importantly, I had a plan of action and knew exactly what I needed to buy to create the vision in my head. Here's a shot of our living room after I made some changes. It looks so much better!! I've made a few more updates since then (including a new couch!) and will reveal the newly finished living room soon. 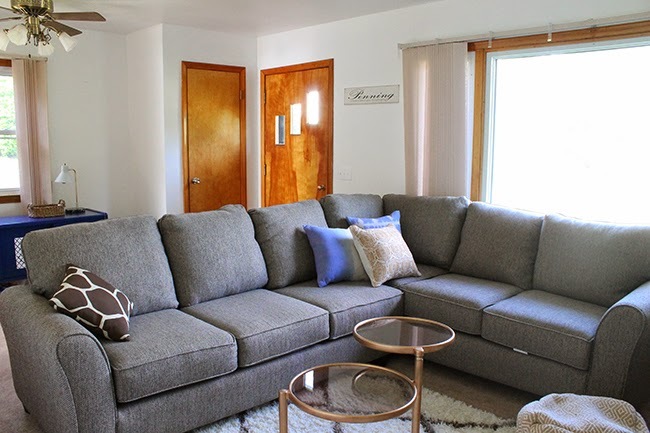 Once I found my true style, created a plan, and learned how to incorporate it, everything came together and now I'm truly happy with our home. I want to help you do the same so you can love your home, too. To give you a jump start, I put together a free cheatsheet to fill out and help you uncover your style elements that make up your style. Click here to download your free cheatsheet now and follow along as I show you how to uncover your style elements that make up your signature style. Go to Pinterest and create a board called Dream Home and start searching for pins you ABSOLUTELY love that make you happy. The key is only pin images of rooms you would actually want to live in. You may come across images that are fun and you're drawn to, but you wouldn't want to live there. Don't pin these images. It's totally normal to like many different styles and designs, but there are only certain ones that you LOVE and want in your own home. Keep pinning to your Dream Home board and be ruthless about each pin. If you kind of like a pin but you aren’t 100% sold, don’t pin it! Every pin must make you burst with happiness that you immediately pin it without question. Try to pin at least 20 pins to your board. You can see my Pinterest board here as an example. It’s time to get super detailed. We need to dissect every pin on your dream home board and look at it with a magnifying glass. Why do you like each pin? What do you like about it? Write down every last detail you like about every pin, starting with the first and going from there. Your list can be one comprehensive list. I like the cognac leather chairs. I like like white sofa. I like the colorful pink and red vintage Turkish rug. I like the soothing feeling in the room. I like the neutral walls with the bold patterned rug. I like the gold floor lamp. I like the rustic beams. These are the elements that make up your signature decorating style. In your free download cheatsheet, write down each element under the appropriate category. For example, under the "Colors" heading in your workbook, you'd write: white, gold, cognac, pink, red. You've just uncovered your style elements! What's next? To learn the remaining steps in my Find Your Signature Style course, click here to enroll. You will learn how to use these style elements to develop a cohesive decorating plan, detox your home, create a color palette, make a shopping list and stick to it, and set a budget. It covers everything from start to finish that you need to know for decorating your home. 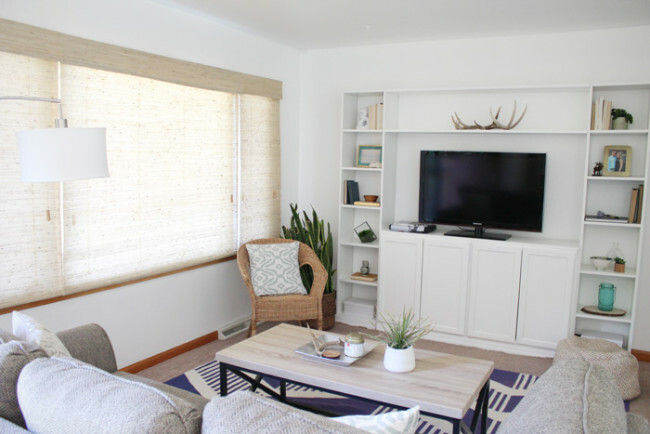 This course is is a very small investment when you think about decorating your home, and can save you tons of money from "mistake" purchases. I definitely wish I had this system the first time around decorating our living rom. Finding my signature style was the best thing I did for my home and I'm so excited to finally share my secrets with you in this step-by-step system. I hope this post was helpful in identifying the style elements that make up your signature style. Once you know your style elements, you should have a much clearer idea of what to buy for your home. Are you happy with your home right now? Why or why not? What are your style elements? Let me know in the comments!